1. 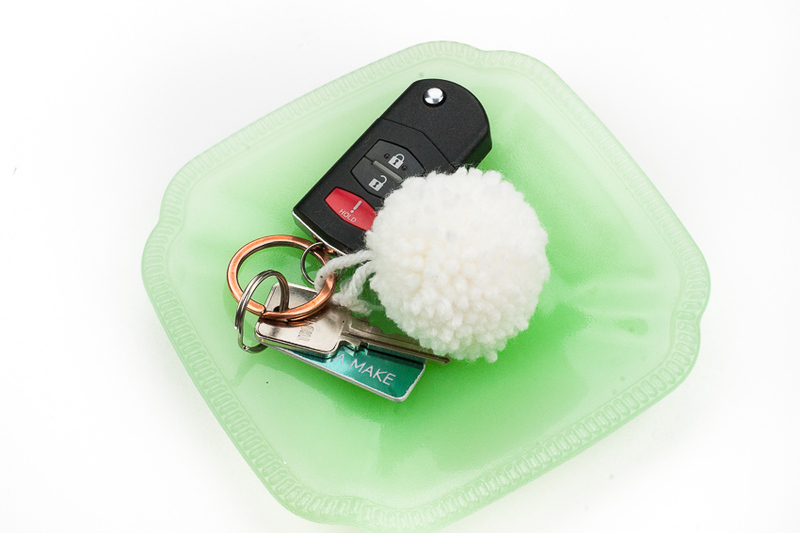 Each little pom pom maker has 2 sets of two “arms” that pull away from the center plastic circles. 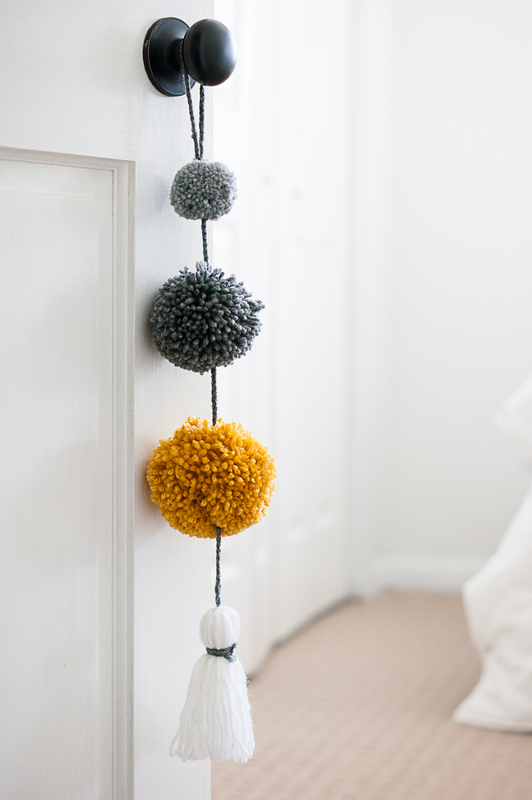 You begin your pom pom by winding your yarn around each of these sets…over and over again…making sure to completely cover the arms. 2. This is how 1 set of arms looks completely wound with yarn. Fold this set of arms into the pom pom maker. 3. Now, go ahead and wrap the other set of arms the same way. 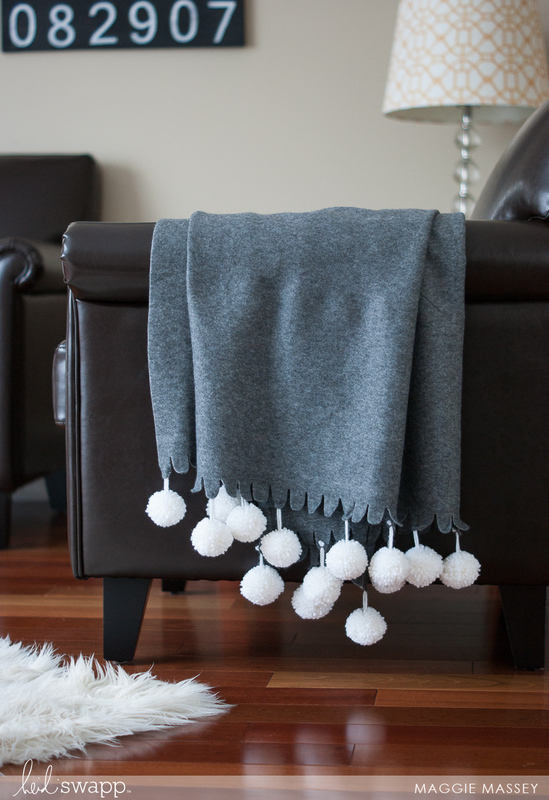 Here’s how your little pom pom maker will look once you’ve folded both sets of arms in. 4. 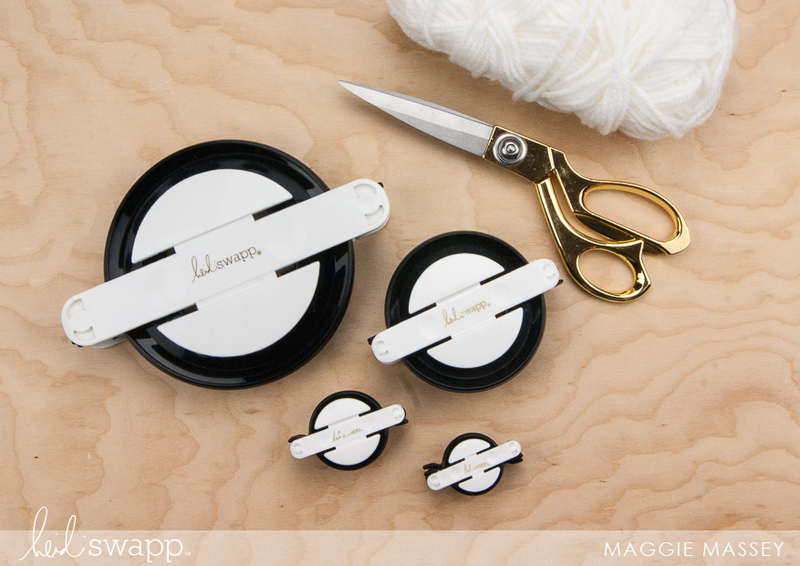 Use a pair of sharp scissors to cut through the yarn in the space between the arms in each set. 5. 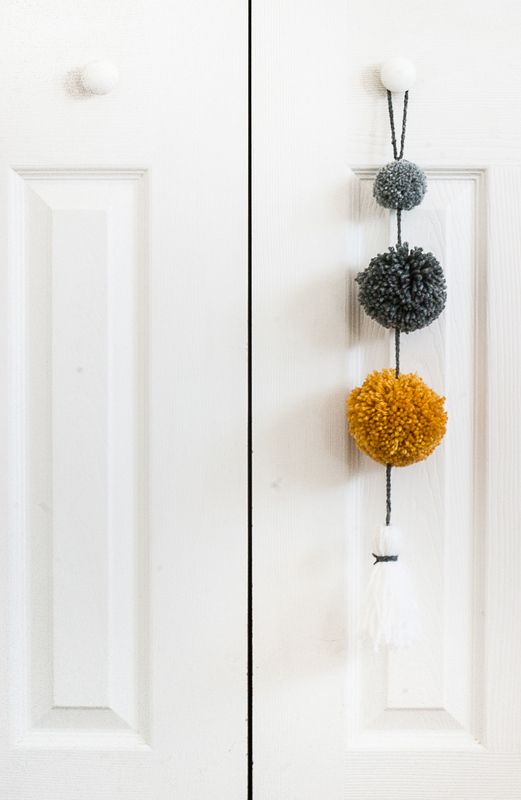 Here’s how your pom pom maker will look once you’ve cut through the yarn on one side. 6. 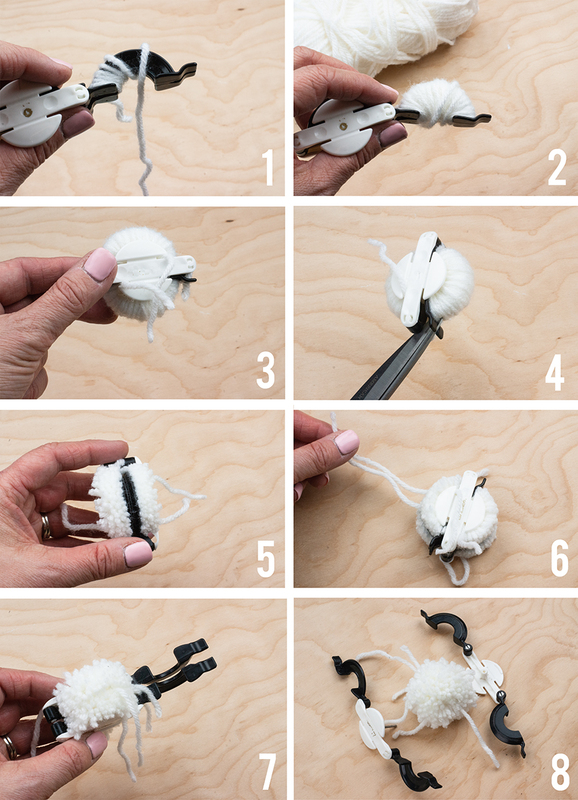 Wrap a length of yarn around the middle of your pom pom maker and pull tight…then, tie a knot. 7. Pull back each set of arms from your pom pom. 8. Now pull your pom pom maker apart in the middle and there you have it! A perfect little pom pom! Thanks for sharing wonderful post. Keep up the great work!